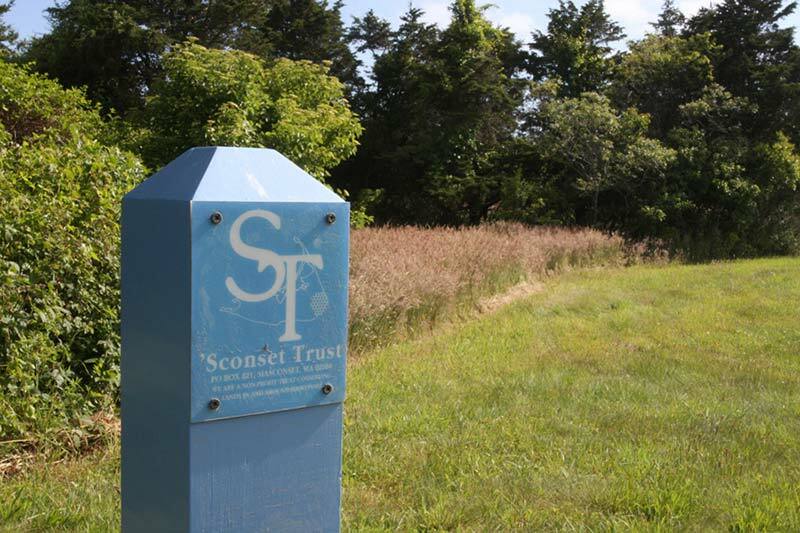 In 1984 three individuals – Robert Shetterly, Mary Heller and George Buckingham, – were instrumental in the formation of the ’Sconset Trust, a non-profit organization dedicated to preserving open space on the Island’s eastern end. Fearing development would overrun ’Sconset’s quiet charm, the founders took the advice of the Nantucket Conservation Foundation and formed a land trust explicitly to protect the smaller parcels of land in and around the Village. In 2011, the Trust executed a conservation easement for the property located at 10 Sankaty Road in the village. The property is owned by Macdonald and Charlotte Mathey. Please review the Conservation Gift page for more information about options for gifting or selling land and creating easements with the Trust.